On Saturday, Saudi-born billionaire Wahhabi prime minister of Lebanon Sa’ad Hariri announced his resignation after a meeting with Saudi Crown Prince Mohammed bin Salman. He blamed Hizbullah for creating anti-West hysteria in the country which has resulted in isolation of the country within international community. Personally, I think Lebanese nation would be better off with Western-stooges like Sa’ad Hariri whose father Rafik Hariri was murdered by Mossad in 2005 over praising Hizbullah for forcing Jewish army to withdraw from South Lebanon in 2000. Lebanese president Gen. Michel Naim Aoun (Christian), a Hizbullah ally has not received Sa’ad’s official resignation letter as yet. Nabih Berri, 79, Speaker of Lebanese parliament since 1992 has cut short his visit to Egypt after Sa’ad’s announcement. I remember Tony Badron’s long article at Israel’s online hasbra magazine Tablet (August 2, 2017) on Trump-Sa’ad meeting at the White House, entitled, “Lebanese PM Saad Hariri joins Hizbullah to Con Donald Trump“. Interestingly, the Jew York Times had reported that during the said meeting Donald Trump lauded Sa’ad Hariri over his fight against Hizbullah and ISIS. On October 26, Israeli poodle Rex Tillerson repeated his old mantra; “Assad must go.” US-Israel supported al-Qaeda threatened Hizbullah over supporting Assad. 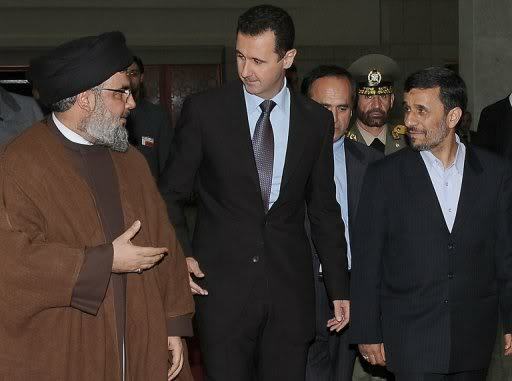 But despite all those rhetoric, both Assad and Hizbullah are still in power. Israeli leaders refuse to face the reality that Hizbullah is the only Arab militia which defeated the US-backed Jewish army in June 2006. And after every aggression Hizbullah had come out much stronger and more influential not only in Lebanon but also in the Muslim world. Alex Fishman, in an Op-Ed at Israeli newspaper YNet (October 28, 2017) wrote: “The state facing the biggest dilemma in respect to the Syrian outcome is Israel. Israel has gained some tactical victories in the neighborhood (i.e. over the Palestinians generally, and in weakening Hamas), but it has lost sight of the wider strategic picture. In effect, Israel has lost its ability to dominate the region. It had wanted a weakened and fragmented Syria; it had wanted a Hezbollah mired in the Syrian mud, and an Iran circumscribed by Sunni sectarian antipathy towards the Shi’a generally. It is unlikely to get any of these. Rather, Israel finds itself being deterred (rather than doing the deterring) by the knowledge that it cannot now overturn its strategic weakness (i.e. risk a three-front war) – unless, and only if, America will fully enter into any conflict, in support of Israel. And this is what worries the security and intelligence echelon: Would America now contemplate a decisive intervention on behalf of Israel – unless the latter’s very survival was at risk?”On November 4, former British diplomat Alastair Crooke in an article pointed Israel-Saudi dirty fingers behind Sa’ad Hariri’s resignation.